High end quality at an unbelievably low price! 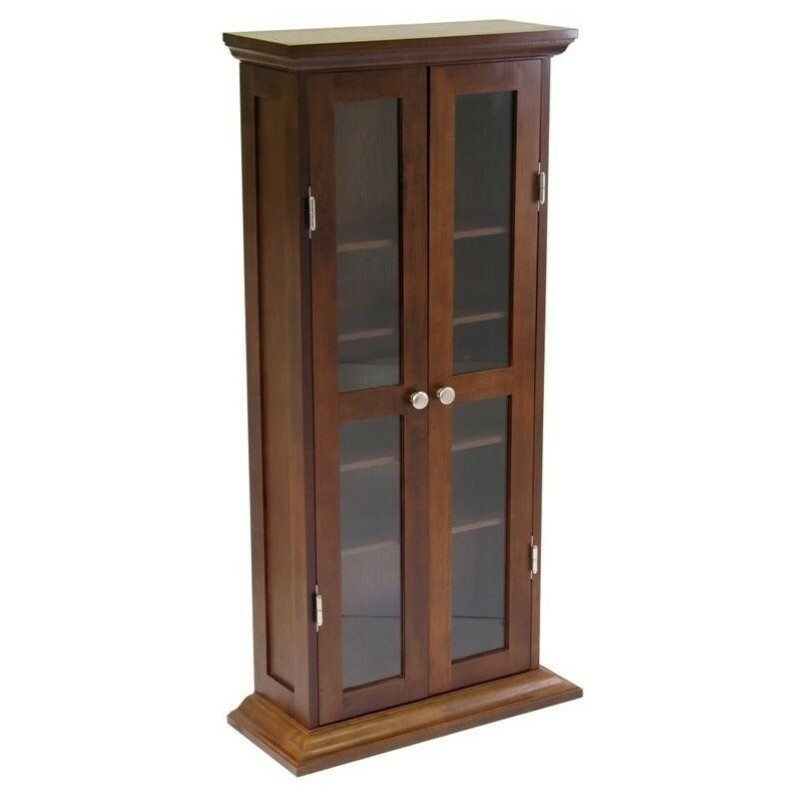 This beautiful CD-DVD media storage cabinet is transitional in style. It features classic architectural details such as crown molding, recessed side panels and a plinth base. 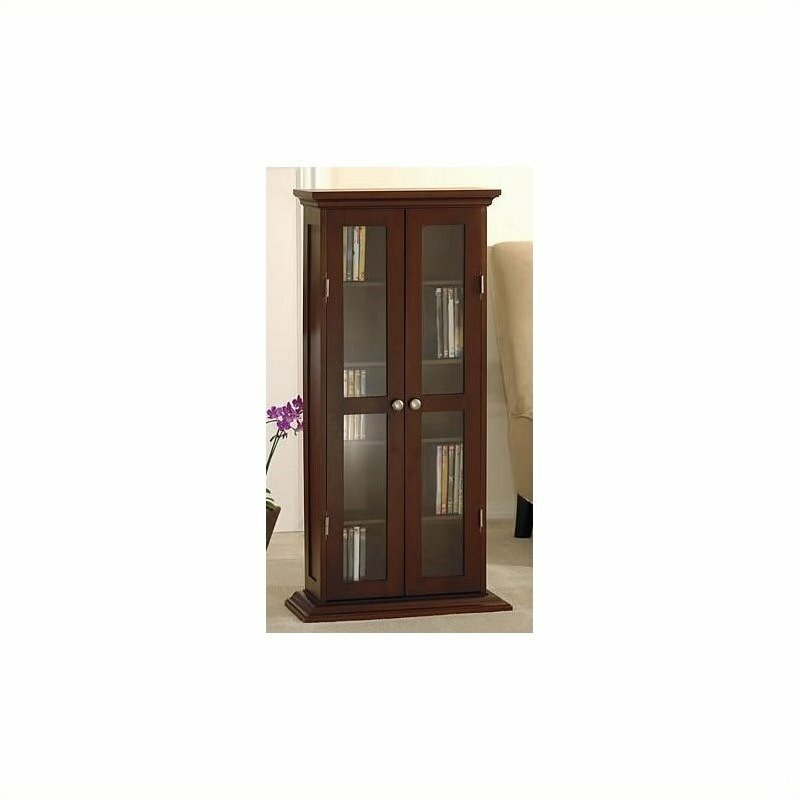 Glass doors allow easy access to your collection.